In the offices of LiquidNet, a group of intrepid, ambitious testers met and decided to discuss what aspects of testing mattered to us. Test Retreat is an Open Space conference, where the sessions begin when the participants want to have it begin (and end), the people who are there are the people who need to be there, and the law of two feet rules. We took some time to discuss topics, pull together similar topics and threads, and then head into our places to talk about the stuff that is burning us up inside. 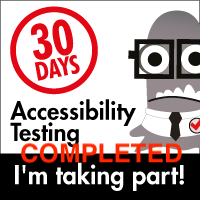 The first session I attended was based around developing a testing community within a city or region. As many of us were part of different communities around the world, there were a variety of experiences, ranging from very small markets with perhaps a hundred testers total, to large regions with hundreds of thousands of testers, but little in the way of community engagement. Rich Robinson led the discussion and shared his own experiences with growing and scaling the community in Sydney, Australia. Rich shared that there were three areas that were consistently asked for and looked at as the goals of the attendees: looking for work, finding out the latest trends, and honing and sharpening skills. Rather than try to be all things to all people, they developed a committee and separate initiatives, with committee members focusing on the initiatives that mattered to them. For the group that wanted to get work, they made an initiative called “opportunity seekers”, and focused energy on those who had that as their biggest objective. For those who want to focus on latest trends, they have an avenue for that as well. Different regions have unique challenges. 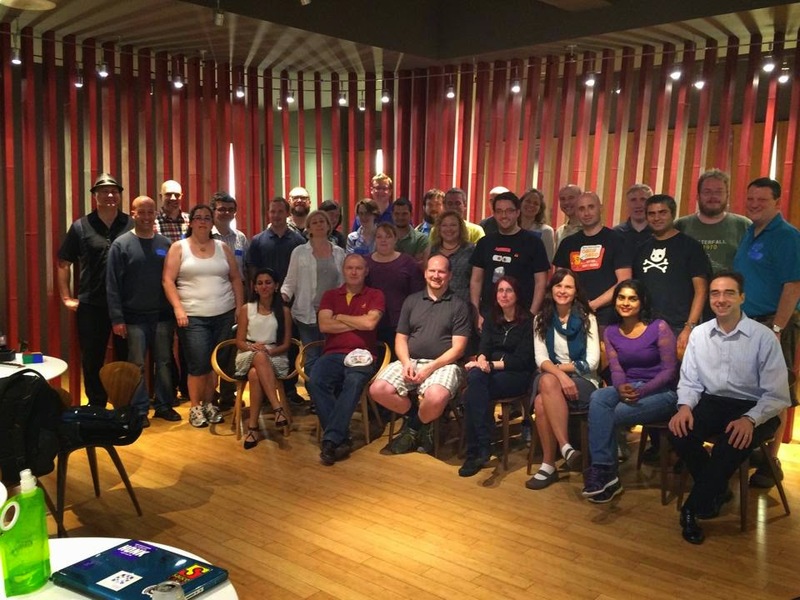 In the Bay Area, we have an overabundance of meetups for technical topics, of which a handful of them relate to software testing. As a founder of Bay Area Software Testers (BAST), Curtis Stuehrenberger, Josh Meier and I have chosen to try to focus on areas that are not as often discussed (we tend to steer clear of automation tools and techniques, since there are dozens of other meetup groups that cover those topics). Another challenge is frequency. In some cases, regular and frequent meetings are key. In others, having them less frequently works, but the key is that they meet regularly (monthly, every six weeks, or quarterly seem to be the most common models). Rich also shared that their initiatives branch away from the formal meetup sessions, and have other opportunities that they initiate that occur outside of the formal meetup times. By having each initiative have people committed to it and resources to help drive those initiatives, buzz gets generated and more people get involved. One of the key things that Rich emphasized was getting people involved and engaged for these initiatives. The Sydney tester group has a committee of ten members that helps make sure that these initiatives are staffed and supported. Another challenge is the local regions. Some cities have sprawl, others are difficult to get to in a timely manner due to traffic and population density. For example, the San Francisco Bay Area has four general regions: San Francisco (and the upper San Francisco Peninsula, Silicon Valley (and the lower San Francisco Peninsula), the East Bay, and the North Bay. With a few exceptions, people who participate in one generally do not regularly participate in the others. To reach out to a broader community in these sub-regions, it may require using technology and remote-access options for people to participate. Ultimately, growing a community takes time, it takes dedicated people, it takes a range of topics that matter to the attendees (including making sure that food and drink is there ;) ). To get those people you want to be involved, it helps to be very specific about what is needed. Saying “I need help with this” is less effective than saying “I need this specific thing to be done at this time for this purpose”. Specificity helps a lot when recruiting helpers. The next session was “Sleep No More”, presented by Claire Moss, and focused on the model of the performance/play called Sleep No More (which is, in some ways, described as “an immersive performance of Macbeth”). It’s a darkened environment, all participants wear masks, no photography, no talking, just experience as the person sees it. Exploratory Testing, in many ways, has similarities to this particular experience. Claire used a number of cards to help display the ideas, and one of the first ideas she shared was “fortune favors the bold”. Curiosity and a willingness to go in without fear and deal with a substantial amount of “vague” is a huge plus. If you already have that, you have a strong advantage. If this is not natural for you, it can be developed. Each room in the Sleep No More experience was part of the performance, and at any time, rooms could be empty or have people filter in during the performance. There are “minders” in the event that help to make sure that people don’t completely lose track of where they are. At times, there are very personal experiences that take place based on your tracks and where you go. Claire described a very intense experience of the performance based on where she went and what she observed and chose to follow up on. She also said that, up to this point, no one that she knew had anything like the experience she had. The experience of Sleep No More was bizarre, creepy, full of strange triggers, and the potential to go into wildly unexpected direction. Software testing in many ways mirrors this experience. While there may be familiar areas and ideas, very often, our choices and angles may take us into very unexpected places. To give an example of the scope of the space, this was in a six story building, in an area that used to be a hotel (and whole areas of the building were gutted, in some spaces multiple floors were open to the air and visible). Claire described a feeling of “amazement fatigue”, where the level of stimulus is so high that there is no way to take it all in. The participants have to make conscious choices as to where they will go, and many of the participants will have wildly different experiences. Sometimes, they would follow a character, only to watch them go through a door and close and lock it, so that they couldn’t be followed any longer. This reminds me of following threads of a feature, and being brought to a dead end. People will observe different things, and they will also observe what other people do, and what they focus on. This can give us clues as to areas we want to explore next. This experience sounds amazing, and I am definitely interested in going and doing it myself, if time and commitments permit me to do so. Looks like I will be attending the August 10 performance :). - What is the purpose of a test team lead? What makes it different than being a test manager? The discussion shifted from there into ways that test team leads and test managers were similar and where they differed. Some of the participants talked about how they led by example, and that they divvied up the work among the group based on the people involved and what they were expected to do. Team leads in general do not have hiring/firing authority, and they typically do not write reviews or have salary decision input. In other environments, the team manager and team lead are one in the same. There are some who are cynical about the effectiveness of this arrangement, while some feel that it is possible to be both a team lead and a team manager. One attendee who is a Director of Q.A. for her company said that she was “the face of Q.A.” to the organization, and as such, she was setting the direction and expectations for the organization, as well as for her own direct reports. Team leads are expected to teach and coach the members of their group, as well as be the point of contact for the group. It’s seen as important that they be able to focus on and develop their own role and make it responsive to their own environment. The team lead stands up for the group, and defends them from encroachment of issues and initiatives that are counter-productive to their success. Responsibility and authority tends to be on a sliding scale. Different companies allow for a different level of authority for the leads. Some give a level of authority that is just short of being an actual manager. In others, the leads is considered a “first contact” among equals. One of the bigger challenges is to deal effectively when team members are failing. Failing in and of itself is not bad. It’s important to learn, and failing is how you learn, but when the failing is chronic or insurmountable, there needs to be a different level of interaction. Lean Coffee, direct mentoring, or even a serious re-consideration of experiences and goals can be hugely beneficial, both for the individual and the team as a whole. Matt Heusser led a session about “Teaching Testing”, and some of the challenges that we face when we teach software testing to others. When we have an engaged and focused person, this usually isn’t a problem. When the person in question isn’t engaged, or is just going through the motions, then it’s a little more difficult. The question we focused on at first was “what methods of teaching have worked for you?” Testing is a tactile experience, rather than looking at an abstract questions. We are familiar with questions like “how do you test a stapler?” or “how can you test a Rubik’s Cube?”. The presentation of this challenge may be the most important aspect. For some, they might look at “how do you test a stapler?” as demeaning. They are professionals, what is this going to teach me? In my experience, one of the things I found to be helpful is to actually spell out how challenging the exercise could be. Rather than ask “How do you test a stapler?”, I might instead say “Tell me the 120 ways that you can test a stapler to confirm it’s fit for use?” This sets a very different expectation. Instead of saying “oh, this is trivial”, by seeding a high number, they may want to try to see how they might be able to meet or exceed that number. They become engaged. To borrow a bit from Seth Godin, there are two primary goals for everyone. It’s the important aspects that we need to learn, regardless of the discipline. The first is to focus on authentic problems. The second is to be able to lead. Domain knowledge is a huge factor in helping to identify authentic problems. It’s not the only means, but getting to really know the domain can help inform the testing ability. Another important aspect is to understand how people learn, Everyone goes about learning a bit differently. Helping each person learn how they learn can be a huge step in helping to teach them. Sometimes the most ripe area of learning is to wade into an area where people disagree, or where there might be a number of people or groups where there might be dysfunction, where team members don’t talk to each other, or there’s simmering hostility between people. If there’s hostility between two programmers, and they write software that interacts with each other, it’s a good bet that there might be a goldmine of issues between their interaction points (I think this is a very interesting idea, btw :) ) . Key to teaching testing is the ability to reflect and confirm what has been taught and learned, and for me, I think that Weekend Testing does this very well. The benefit of Weekend Testing, beyond just doing the exercise, is that we can see lightbulbs turning on, and there’s a record of it that others can see and learn from. Creating HowTo’s can also be a helpful mechanism for this. This section is the talk that Smita Mishra and I gave about “Hiring Testers and Keeping them Engaged Once We’ve Hired Them”. I recorded this session, and I will transcribe it later ;). What does quality like to our organization? Why spend money on testing? What value are we getting out of testing? These are all questions that we need to be prepared to answer. The question is, how do we do that? There are several methods we can use, but first and foremost, we need to determine what we need to speak with management about, and if possible, use the opportunities to help educate them about what it is we can do, and at the same time, get a clear understanding about what their view of the world is. At the end of the day we had a lot of new idea, feedback for some new initiatives, an emphasis on better communication, more focused due diligence, and the fact that so many participants had a lot they felt they could contribute. This was a fun and active day, and a lot of learning and connecting. 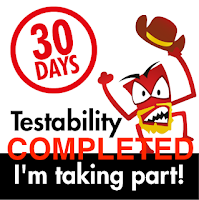 One of the key things I am always impressed about when it comes to these events is that we really have a lot of solid people in the testing community, but we need even more. I encourage every tester that admires craftsmanship, skill, and thinking make it a point to come to these now annual events (this is the third of these, so I think it’s safe to say that it’s a thing now ;) ). Once again, thanks Matt (Heusser) and Matt (Barcomb) for organizing what has becoming my favorite Open Space event. May there be many more.